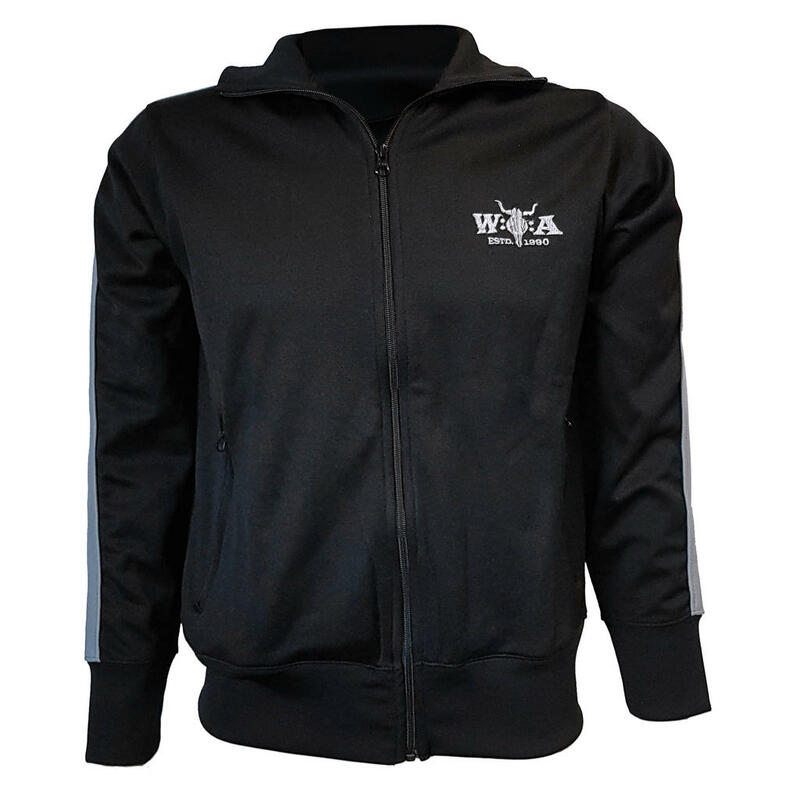 You will always look sporty with this W:O:A track suit top made of 50% cotton and 50% polyester. 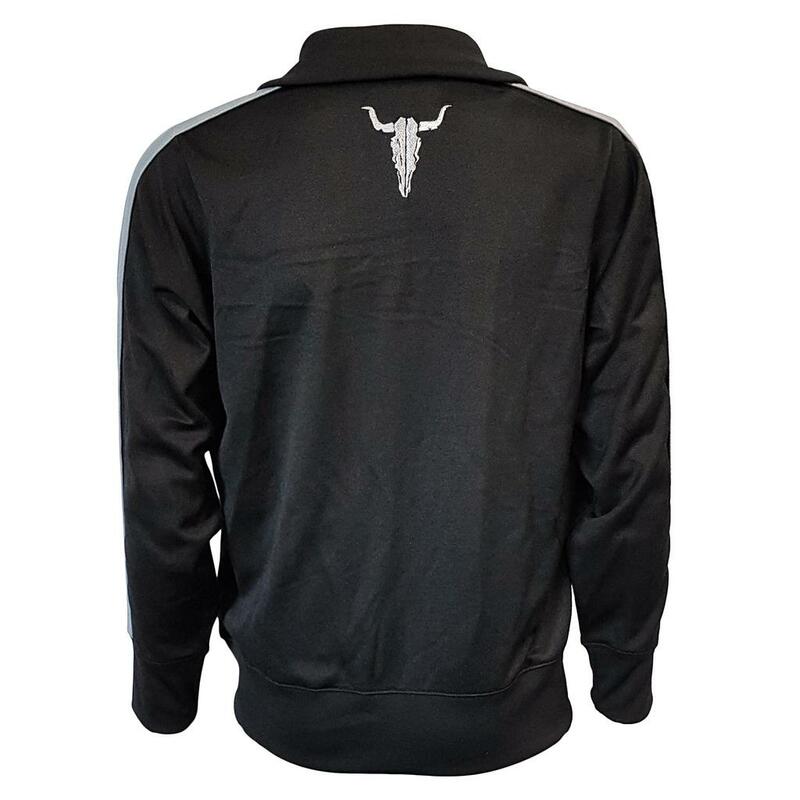 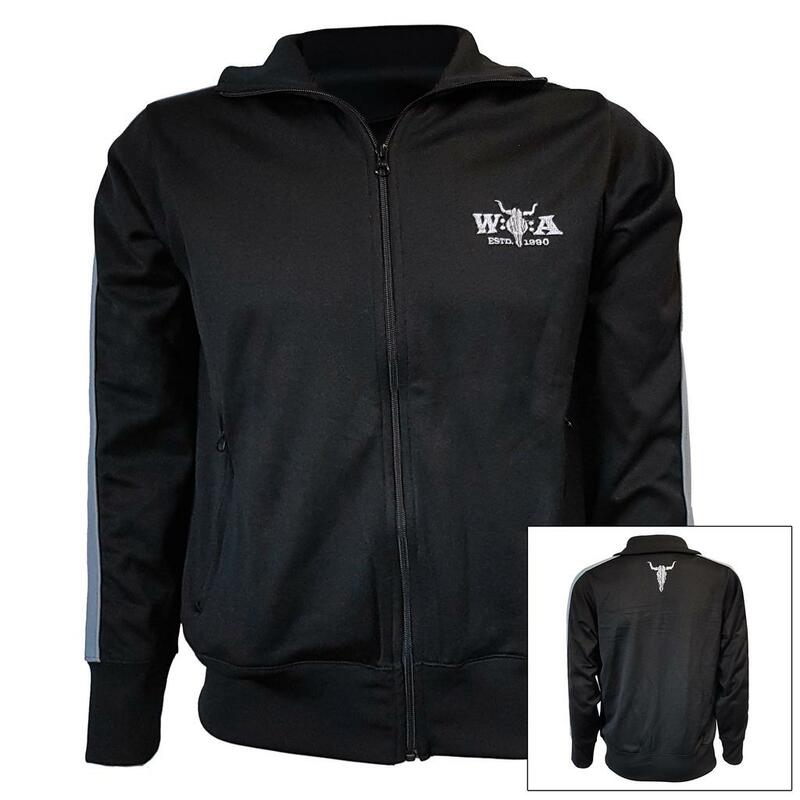 The front of the black jacket is decorated with a grey W:O:A logo, on the back side you can see the famous bullhead. 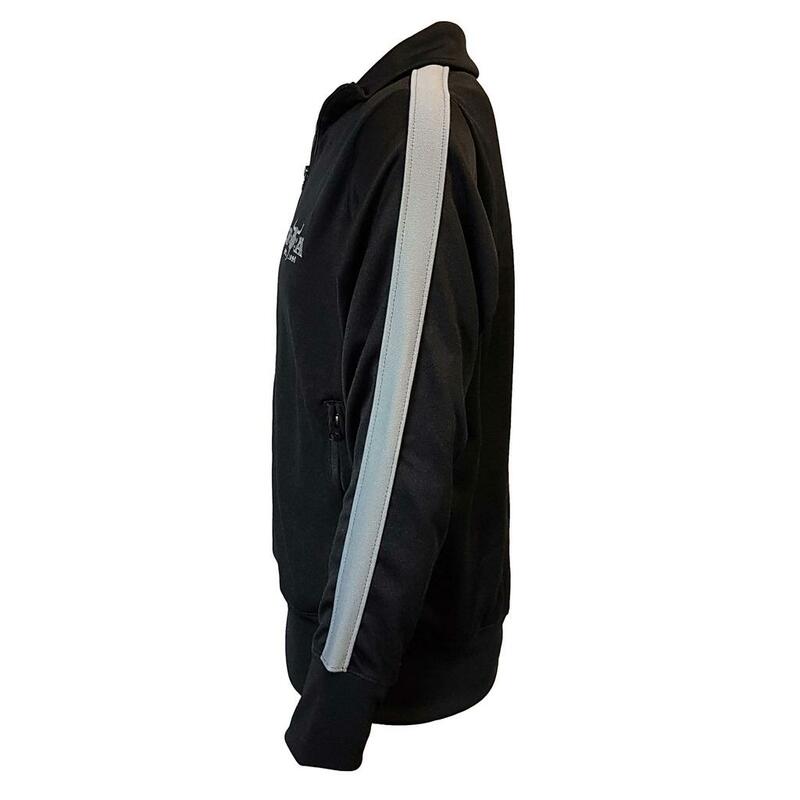 With a grey stripe on each sleeve, this garment is an absolute eyecatcher and the two front pockets, which are closable with a zipper round out the fashionable design.